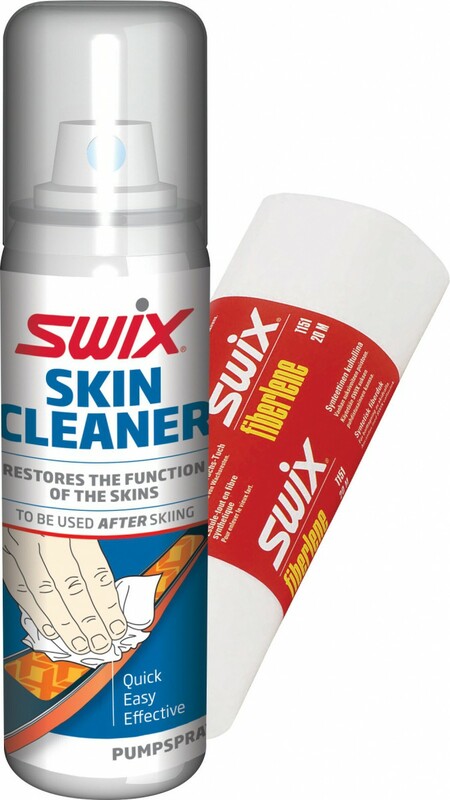 Swix Skin Cleaner: Restores the function of the skins. To be used after skiing. Restores the function of the skins. To be used after skiing. Swix Skin Cleaner is developed to clean integrated skins in a gentle way, without affecting the skin glue. Over time skins pick up wax leftovers, dirt and pollution from the snow, which will make the skin both slower and less effective. By using the Swix Skin Cleaner you will help restore the properties of the skin and increase its efficiency. 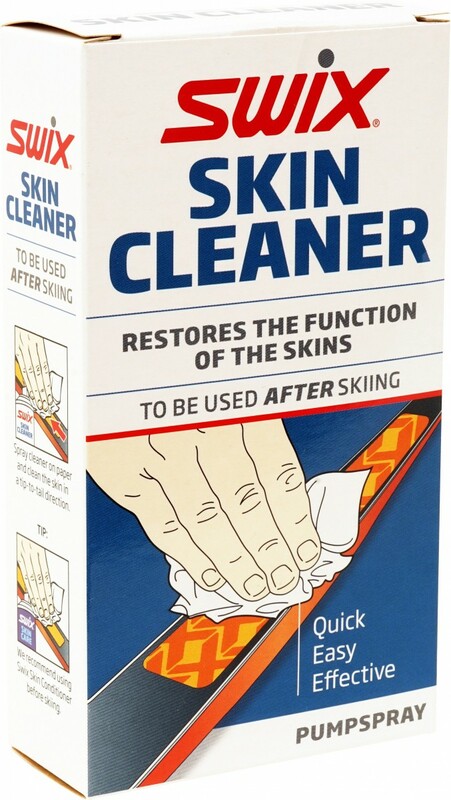 To be used after skiing: Spray cleaner on paper and clean the skin in a tip-to-tail direction. Spray cleaner on paper and clean the skin in a tip-to-tail direction.